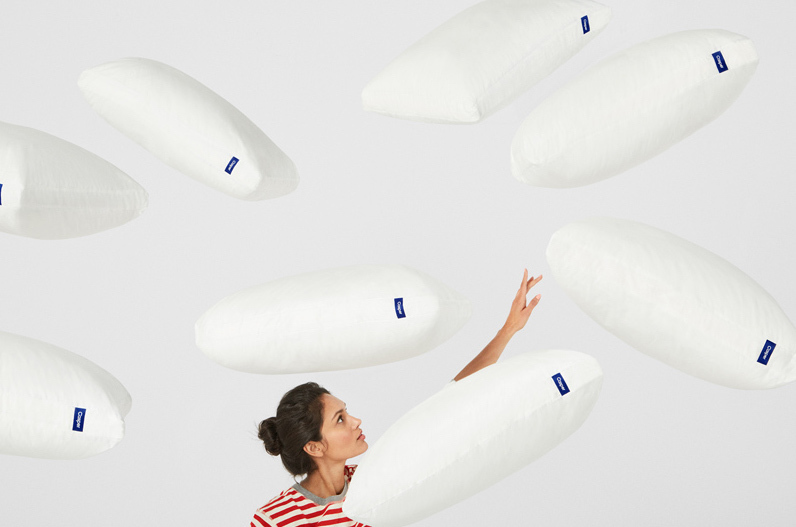 Casper was one of the first mattress-in-a-box retailers to hit the UK, so it's not surprising that they have extended their product range to include pillows to improve your sleep experience further. We’ve reviewed the Casper pillow to make it easy for you to decide if it’s the right pillow for you. Foam free – When you sleep the head becomes one of the warmest parts of your body, and although foam provides excellent support to your body, it can overheat and become too warm which can make it uncomfortable to be an effective pillow. Down free – A good pillow needs responsiveness and bounce to ensure that you remain supported throughout your sleep. Down tends to flatten out and not spring back into shape which can make it ineffective in a short amount of time. Buckwheat free – Although buckwheat is quickly becoming extremely popular among consumers, Casper has decided to stick to tried and tested materials that are back by more research and user satisfaction. The Casper pillow is constructed with a dual layer interior that has a 2” gusset with low friction fibres. The gusset is the backbone and support to the pillows overall construction which reinforces the shape of the pillow and ensures that the filling is distributed evenly throughout which keeps the loft consistent as you use it. This is what maintains neck support and spine alignment, so you don’t sink too far into the pillow. Moving inside the pillow, there are almost a billion coated fibres that create an adaptive liquid-like feel that is extremely responsive to your movement. On the exterior of the pillow, there are longer fibres that give it a cushioning and plush finish, while each fibre cluster is individually placed into the cover. This process is more advanced which means that the pillow doesn’t clump and lose shape but retains its springiness and responsiveness to bounce back into its original shape. The cover is made from 100% cotton and has an inbuilt percale weave which is breathable allowing fresh air to flow into the material. It essentially means that both sides of the pillow are, so you don’t need to turn it. The cover is machine washable and also tumble dryer friendly, so you can easily remove and wash. The feel of the pillow is medium soft and is highly mouldable so you can squeeze it into your desired position. This dual layer means it’s a pillow inside a pillow which means it can satisfy all types of sleepers. The outer pillow brings a soft touch and comfort while the inner pillow is the supportive material that keeps your spine aligned. The pillow has a slightly softer feel, and you will instantly feel the softness of the pillow when you first lie on it and the slight sink. 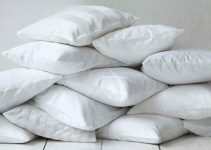 There is strong support as the pillow cradles and contours to the shape of your head and neck. 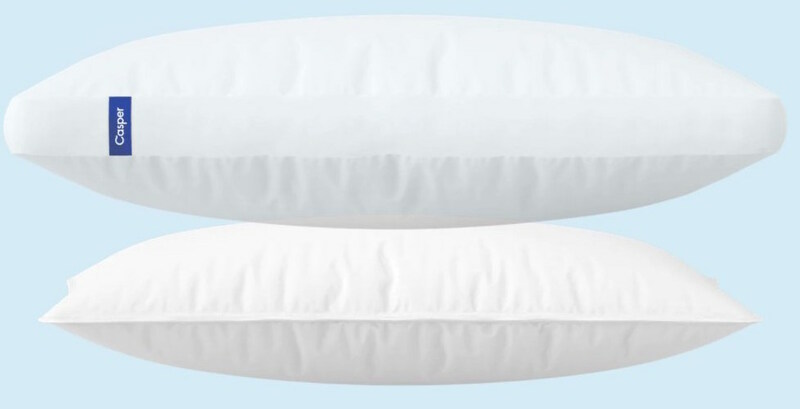 If you’re noise sensitive, then this may not be the best choice of pillow, because both the inner and out pillow covers make noise when you make even the tiniest movement. This noise can be fine for most sleepers but something to consider especially if you sleep on your stomach, you’re sensitive to sound, or you share a bed with somebody who is. The pillow is ideal for side and back sleepers because of the support which keeps the spine aligned. If you sleep on your front, then the loft may be slightly too high. However, you have the option of removing the outer pillow layer which will reduce this loft. The pillow is supplied with a 100 night no obligation sleep trial allowing you to try out the mattress giving you an extended period to make a final decision. If you’re not happy then you can return it within this period for a no questions asked refund. Also, the pillow comes with a three year warranty from Casper to protect you against any potential defects that may occur. The pillow is also available in both regular size and super king depending on your specific needs.